WITH all the brouhaha surrounding the Trump administration, relative to border security via “the wall” and other measures, the claim is: Concomitantly, illegal immigration will be stemmed. Yes and no. But let’s not take such promises as gospel. IN fact, illegals have been flowing in with their winks and nods – if not (some of) their blessings. Yes, Trump’s DHS/HHS are up to their necks in said “accommodations.” Literally! Atop it all, it is absolutely the case that Muhammedans enter through many “openings”, ipso facto, narco-terror mules have ensured that this mode of operative terror transport will remain in (brisk) business. EVEN so, it is becoming exceedingly difficult to convince “fence-sitters” how dangerous Muhammedans are to national security, never mind those ideologically wedded to multiculturalism ala the embrace of leftist-fascists. IN this respect, it is into an upside down, topsy turvy, Alice in Wonderland (western) world that truth-tellers and freedom seekers find themselves in, while waging the most ferocious (informational) battle ever – to the point that banging ones head against the wall is appearing to be the easiest option. Oh, this head hurts! For what should be obvious to all rational folks, has now become a mortal sin; daring one to utter the truth aloud. So, how does one argue against such irrational and twisted “thinking?” Indeed, silencing techniques have become potent parts of the red/green arsenal. Marriage. 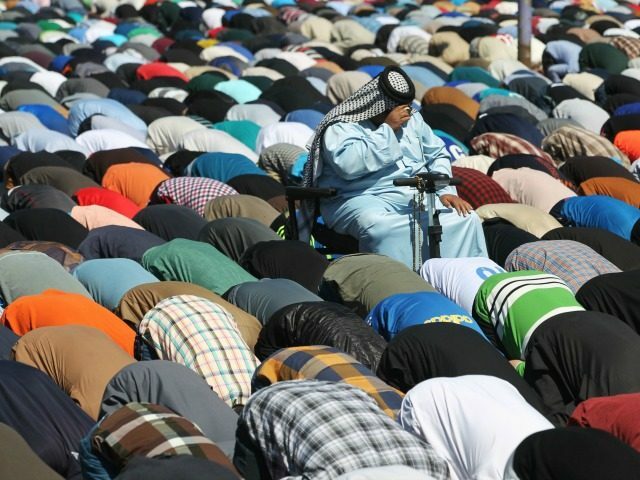 ALAS, thrust by thrust, American “infidels” find themselves surrounded by Muhammedans. Jihadis. With insult added to injury, they receive largess after largess – regardless of country of origin. IN light of the above, who recalls the Somali (cab driver) who went on a Jihadi stabbing spree at Mall of America in November 2017? Of course, media’s leftist poohbahs, with law enforcement in tow, were quick to report: “Two men were stabbed in the Macy’s store at the Mall of America on Sunday night in what Bloomington police described as “an interrupted theft.” Fu*king liars!! BUT no matter, the so-called “thief” actually set the record straight at his January 25, 2018 trial. 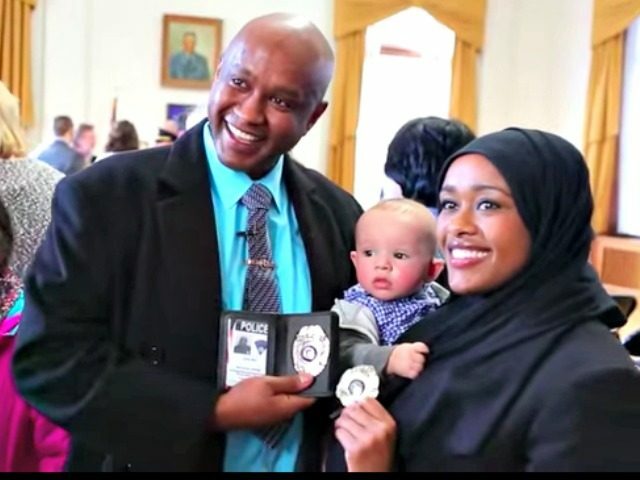 PATTERN-LIKE, is it at all surprising that (in January 2018) a Somali-American immigrant, Zahra Munye Abu, 24 – Maine’s much ballyhooed police officer, no less, a first in the Somali community – was arrested for a multitude of crimes and “placed on leave?” That didn’t take long. NOW, those who believe that the Somali (in general, Muhammedans) threat is reserved for Americans, think again. Incontestably, Canadians, watch out! Between January 9th and January 21st, five people in Toronto were randomly shot. He has been described as a Somali-Canadian, and Canadians could have legitimate questions about the immigration and refugee system if it was determined that he came to Canada that way, or about the security of our nation if he was born here and potentially radicalized in Canada? Where is Trudeau’s statement about random shootings not representing what Canada really is?….continue reading…. DESPITE all of the looming dangers – just as the Jihadi veil is beginning to pierce, albeit slowly – one would, rightfully so, assume that Islamic immigration (via Africa, the Mid East, South Asia, and beyond) would come to a trickle. Not so fast. The growth is evident among recently arrived immigrants. When compared with other major groups who arrived in the U.S. in the past five years, Africans had the fastest growth rate from 2000 to 2013, increasing by 41% during that period. (Africans are also a fast-growing segment of the black immigrant population in the U.S., increasing by 137% from 2000 to 2013.)…. One factor behind this recent wave can be traced to the Refugee Act of 1980, which made it easier for those fleeing conflict-ridden areas, like Somalia and Ethiopia, to resettle in the U.S. Back then, less than 1% of all refugee arrivals were from Africa, compared with 37% in fiscal 2016, according to figures from the U.S. State Department’s Refugee Processing Center. Statistics from the Yearbook of Immigration Statistics confirm this point. Among the top 10 countries by refugee arrival in 2015, four were in Africa: Somalia, the Democratic Republic of Congo, Sudan and Eritrea. AGAIN, regardless of race and home of origin, what said immigrants have in common is Islam. SHOCKINGLY, as per Islam’s increased penetration and infiltration into the west, and related precipitous dangers: Several influential Muslim writers from across the Arab world concur with this site’s analysis re the charges at hand – even though they don’t even know it! The Middle East Media Research Institute (MEMRI), which monitors Arab-language media, published translations of explosive articles arguing that the ideologies behind terror groups such as the Islamic State stem from Islamic jurisprudence that is no longer relevant today. Writing in the London daily Al-Hayat after the July 14 truck-ramming attack in Nice, France that claimed the lives of 84 people, a Palestinian writer and academic living in Britain, Khaled Al-Hroub, called on Muslims to acknowledge that terrorism perpetrated by Muslims is in fact inherently tied to Islam. “Our repeated claims that the perpetrators of terrorism are nothing but ‘a gang’ that does not represent us are no longer effective,” Al-Hroub writes….read the whole blasted indictment…. MIND you, over the years, particular Muslim players have taken the opposite tack – threatening yours truly for daring to “slander” Islam. All the good it did them. INEXTRICABLY, “Islam & Blood ” are cause and effect. As it is, America (the west in toto) must be saved from Islam’s cancerous scourge – otherwise, western civilization will collapse! Consider: The Koran’s first Surah (Chapter), Al-Fatimah, is invoked 17 ! times a day, and its supplication to Allah includes: “The path of those You (Allah) bestowed favors upon, not those who have incurred your wrath and those who deviated.” Now, every devoted Muslim – once they reach the age of understanding – is indoctrinated into the imperative from this repetitious Surah: Jews and Christians have angered Allah, therefore, they must be killed. Even more so, Jews are a “special” target, for Allah turned them into monkeys and pigs! This admonition can be found in Suras 2:65, 5:60, and 7:166. Indeed, know thy Koran well. Besides, it will clear through the smoke and mirrors. By extrapolation, is it any wonder that Muhammedans keep attacking “infidels” – and with no end in sight?? This entry was posted in Uncategorized and tagged Adam Abdi, Mahad Abdiaziz Adbiraham, Minnesotastan: 'Mini Somalia', Somalis Top FBI's Most Wanted, Zahra Munye Abu by Adina Kutnicki. Bookmark the permalink.